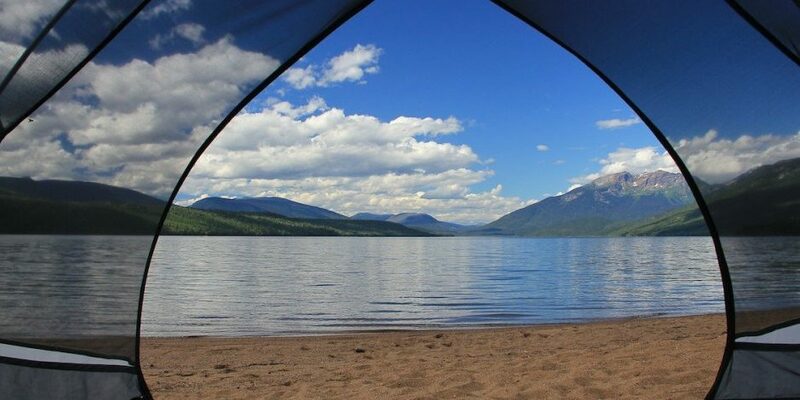 Wells Gray Park is great for camping, and there are several options to suit your camping style. Within the Wells Gray Corridor are the Pyramid, Falls Creek and Clearwater Lake Campgrounds. These are all vehicle accessible and are maintained daily by the Park Facility Operators. 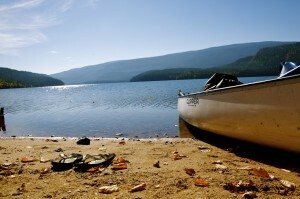 Wilderness campgrounds are found throughout Wells Gray Park, and are accessed by hiking or canoeing. Located 72km from the Information Centre at the south end of Clearwater Lake, Falls Creek and Clearwater Lake Campground are two adjoining campgrounds and have 80 campsites, a sani-dump, a store, running water, boat tours, canoe rentals, a small cafe and coin operated showers. Fifty percent (50%) of Clearwater Lake campground can be reserved, while all of Falls Creek is reservable. You can book your campsite through the Discover camping reservation system. 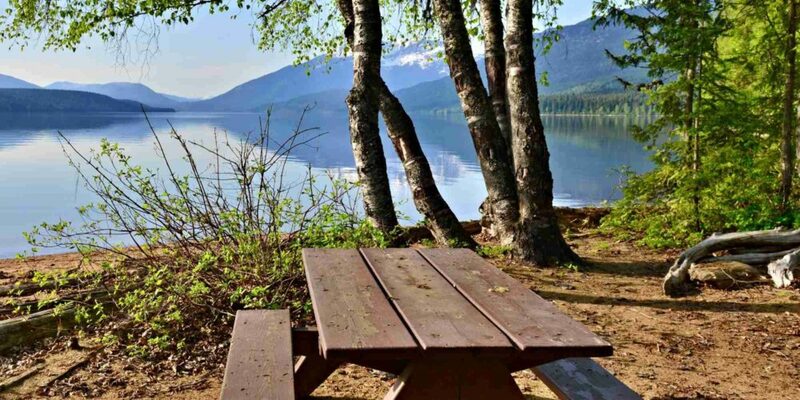 Although neither campground is actually located on the lake, there are trails to picnic areas that offer view of Osprey Falls and the end of Clearwater Lake where it leads into the Clearwater River. The cost of these campgrounds is $23 per night for camping, $5 to use the sani-dump, $7 dollars for firewood, and $2 for a 3 minute shower. Pyramid Campground is located just past the Mushbowl bridge and about 1km from the Helmcken Falls turn off. It has 32 campsites within the campground, and is a great base for exploring Dawson Falls and the Pyramid Mountain area. It has basic facilities such as a hand pump for water, pit toilets, picnic tables and fire rings. Registration for camping takes place in the evenings. The cost is $20 per night, with firewood offered at $7. Even though it is located perfectly within the park, and sighting of wildlife such as deer and bears grazing along the campground road are common, there’s always space available at Pyramid Campground! 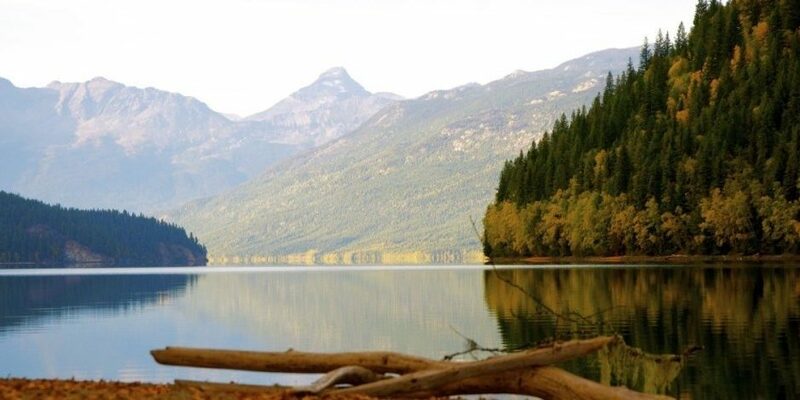 Reserving your camping spot in Wells Gray! Wilderness Campgrounds take a little work to get to, but are well worth the effort. There are several scattered throughout the park. We will touch on a few of our favourites. 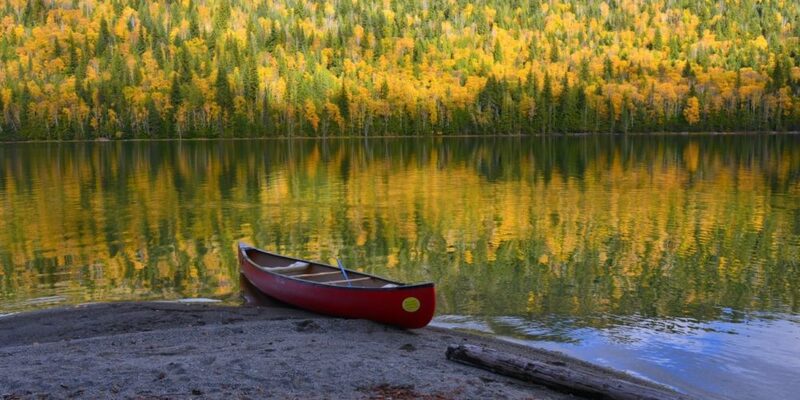 Clearwater and Azure Lake have several family friendly campsites and are only accessible via canoe or boat. Each campground has outhouses, picnic tables, bear proof food caches, and fire rings. Campsites are patrolled and maintained daily. You can also hire a boat taxi to take you to your location of choice on the lakes. Please view boat tours for more details. These campgrounds are $5 per person per night.